A‍‍ non-denominational Christian church consisting of a community of believers, drawn together by the love of God. 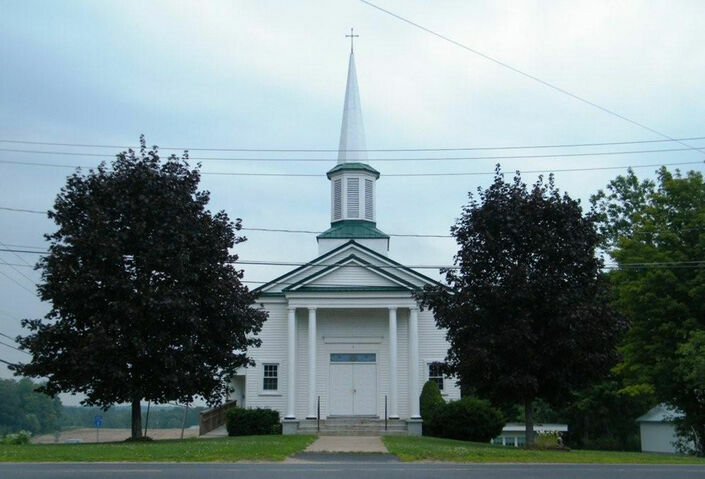 In 1842, the Baptists built the first church in Caughdenoy near the dam. The first inkling of Methodism here came when the Caughdenoy appointment on the Colosse Circuit paid $1.30 for church expenses in 1842. The earliset leaders were Henry Waterbury and Anthony Youmans who served as Class Leaders and Stewards. The Baptist Church was purchased by the Methodist in 1857. Their name at that time was the Northport Methodist Episcopal Church. The first church built by the Methodists near the cemetery cost about $2,000 and was dedicated on December 6, 1880. In 1927, the Trustees voted to install electric lights. On July 15, 1945 the church was rededicated after being remodeled. The new interior had a short life as fire destroyed the entire building on December 20, 1945. The present church was built in 1948 on land donated by Fred Hall. The formal opening day was Sunday, September 18, 1949 by Rev. Carlton Frazier (minister at that time). Pews were added in 1952. The Sunday School and offices were built and dedicated by October 17, 1965. 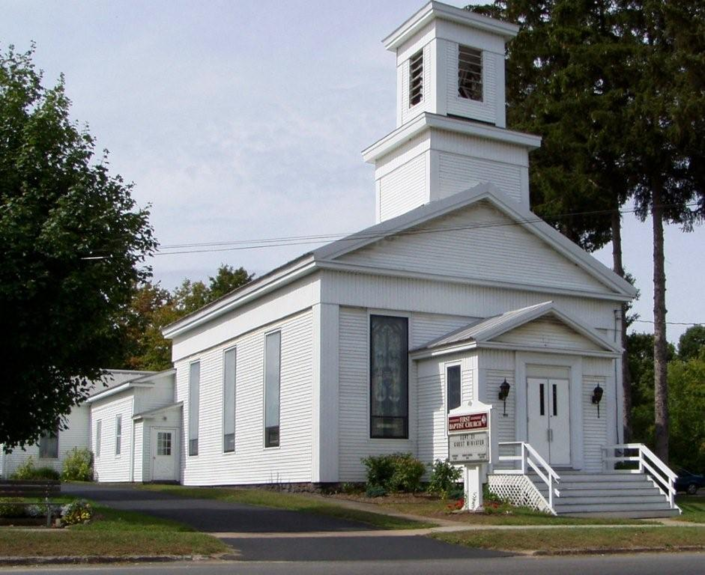 After more then a century of shared arrangements with different Methodist Churches, Caughdenoy United Methodist Church requested and received its full time pastor on July 1, 1988 when the appointment of Dr. Ronald Dale Tompkins. The church then built parsonage at that same time. The church also proudly houses the Sunny Days Nursery School. Sunny days Nursery School is for 3 and 4 year olds. Please call 315-676-4379 for more information. Originally built in 1966 as the Central Square Methodist Church, it became the Central Square Community Church in 1996 and affiliated with the United Church of Christ in 2006. The church in Mallory has been a witness for Christ in the Central Square and Mallory area for over a century. Originally located in a small building in the center of Mallory the congregation has changed it’s affiliation several times during it’s long history. About 1965 Pastor Ansel Gambrell led what was then Mallory Baptist Church from the building in the center of town to it’s present location on the hilltop at the western end of town. In 1986 Pastor A.J. Gibson invited several families who were moving into the area from Lyncourt Wesleyan Church to meet with the church on Sundays. 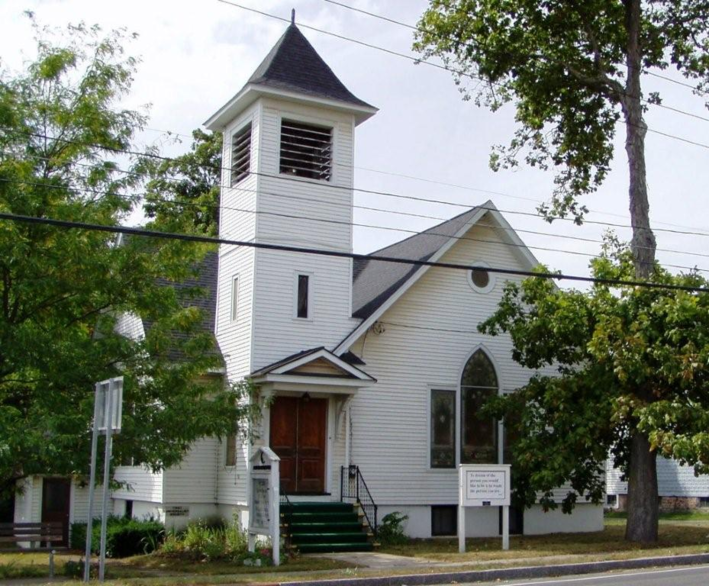 The friendship led to the merge of the two congregations under a new name and denomination, Central Square Wesleyan Church. A large new sanctuary soon followed. In February, 2007 the church name was changed to Mallory Wesleyan to better reflect our location and the community we have served for so long. This is the only Unitarian Universalist congregation in Oswego County. It was built in 1908 by Abraham and Herman Goettel. The cornerstone was laid on July 22 and dedication took place January 2, 1909. We bid you welcome to this house. It is a place which we love and which we tend with care. We do not ask what you believe nor expect you to think the way we do. We ask only that you try to live a kindly helpful life, with the dignity proper to a human being. Welcome to all who believe that religion is wider than any sect, and deeper than any set of opinions. And welcome to all who would find in our friendship, strength and encouragement for daily living. The First Baptist Church has a Church Pantry and hosts turkey dinners, smorgasbords, rummage sales and community concerts. Monthly meetings are held by the Bereavement Support Group and WIC. As early as 1820, a group of Baptist met regularly in schoolhouses and private homes. Rev. Peter Woodin organized the church on June 14, 1845 in Central Square. He was a carpenter and cut the first stick of timber and did much of the work himself when the church was built. The building was dedicated on December 18, 1846. An addition was built in later years. In 1927, Herman Goettel built St. Michael’s Catholic Church for about 16 families. Father O’Brien from Cicero was the first priest to serve in the new church building. After 1950, the number of Catholic families increased to the point where it was necessary to add a wing on each side of the original structure. In May 1976, the membership was more than 1,000. The parish center was built on the Getman property. 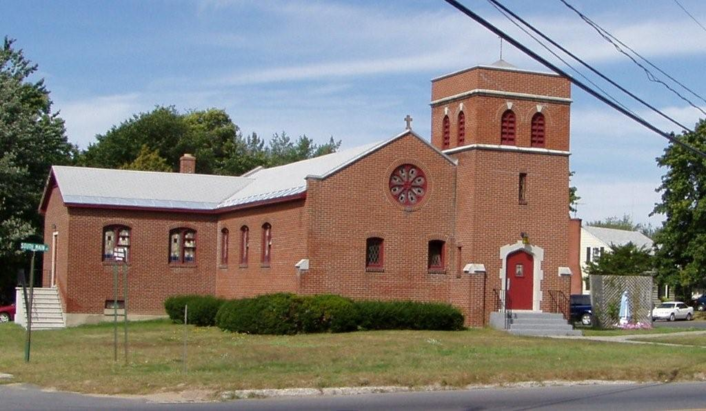 In 2012 St. Michael's linked with St. Agnes under one pastor and is now known as Divine Mercy Parish.